This hard working, general purpose mower is designed for the serious home gardener and semi-professional who may be maintaining formal lawns, parks and gardens, cemeteries and similar ornamental grass. 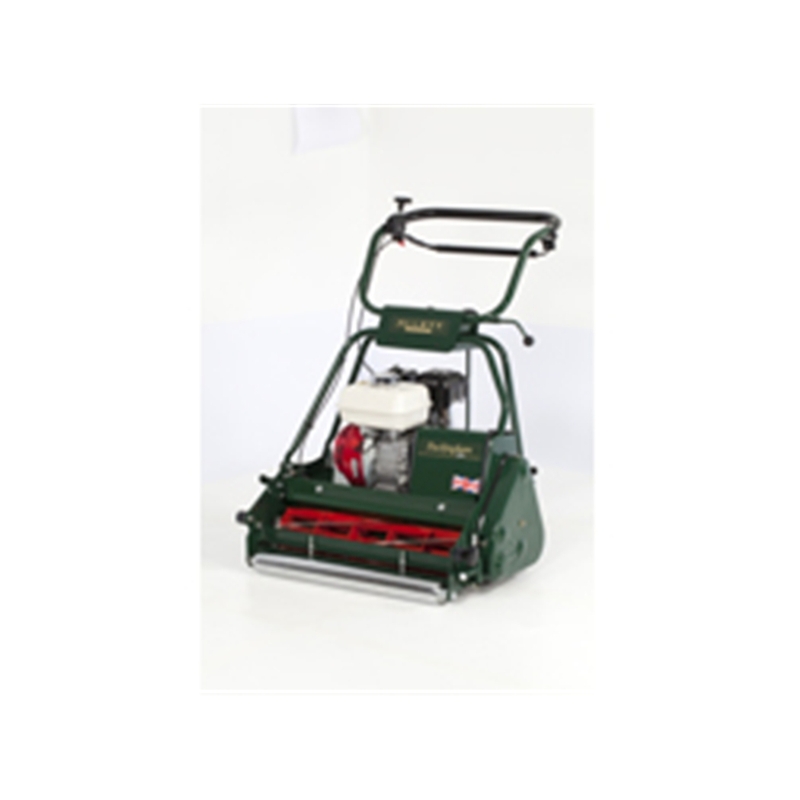 The Buckingham 20H is equipped with a 20in (508mm) six-bladed precision cutting cylinder delivering 73 cuts per metre and heavy-duty spring-tine comb attachment to lift grass prior to cutting for an even finer cut. Powered by a smooth running 6.5hp Honda, four-cylinder single cylinder, Easy Start engine. It features infinitely-variable micro cutting height adjustment from 0.2in to 1.3in (5mm-35mm) and a large capacity grass box. Large An optional trailing seat with Auto-steer is also available, this steers behind the mower precisely when turning or mowing around curved borders or pathways. PLEASE NOTE YOUR CARD IS DEBITED AT CHECKOUT. We will contact you if a surcharge is applicable and at that point you can chose to accept the charge or cancel the order and we will make a full refund to your card. For our full terms please refer to our Shipping Terms.